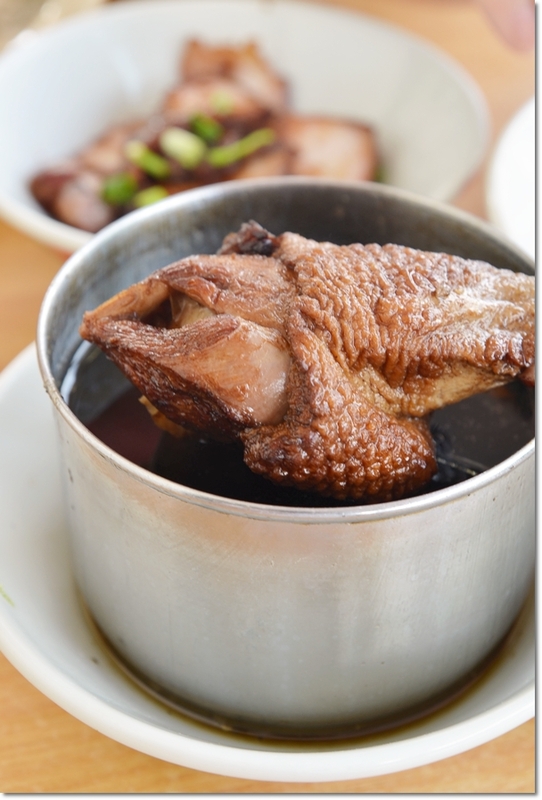 SYW: Fancy your roast duck with a modern twist? This article was originally published on the Malay Mail Online. 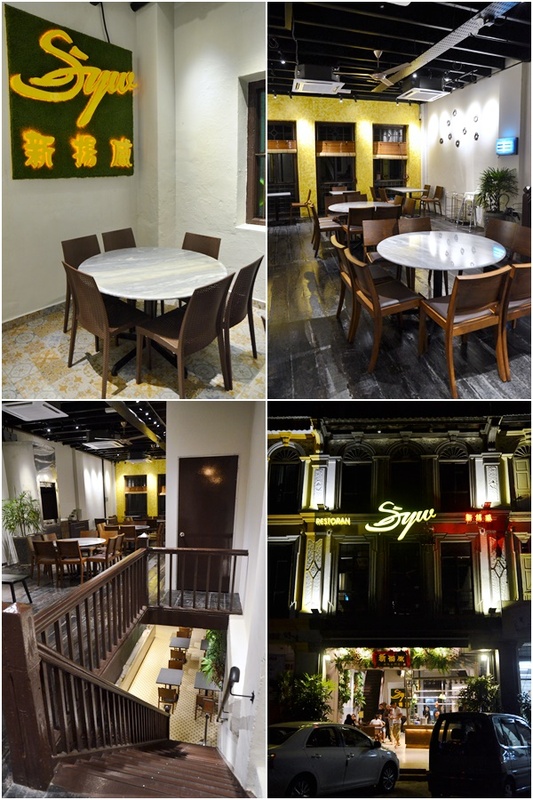 Don’t be surprised if you are greeted by generally puzzled looks when you tell any Ipohan about discovering a fantastic outlet called SYW selling roast duck in the heart of the city. But once you tell them the full name — Sun Yeong Wai — they will nod their heads in agreement. After all, it is one of the better known eating places in Ipoh… since 1976. 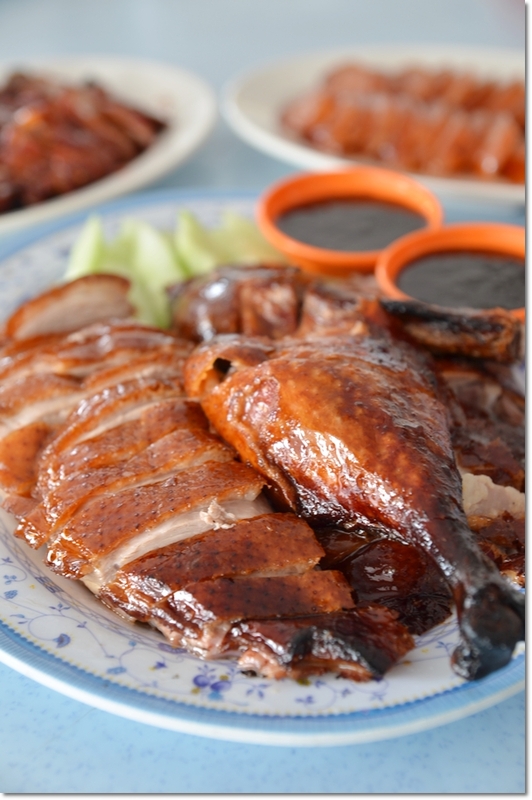 Almost four decades ago, the original proprietor of Sun Yeong Wai (now the torch has been passed on to the second generation) started selling his trademark roast duck from a restaurant along Jalan Yau Tet Shin. 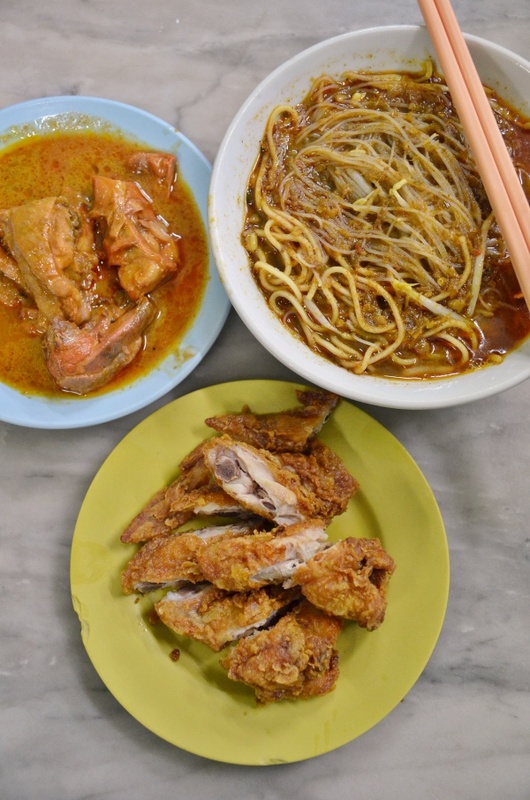 Finger-lickin’ Good Fried Chicken Wings @ A Curry Mee Shop in Ipoh? Not the most common sight – To go along with your fiery bowl of curry mee; at Chuan Fatt in Pasir Puteh, Ipoh, the sheer selection and quality of the sides overshadow the noodles sometimes. Dear readers. I’m sorry. For I have sinned. I tried my best to work out the reviews in between the feasts this past weekend. I was even planning on a live update of review; streaming food shots and stories throughout the last 3 days. But I faltered. Or should I say, the weather failed me. Ipoh was scarily hot; to a point of getting that feeling of being trapped in a perpetual convection of heat within a cramped oven. Or maybe it was time. The rush of adrenaline to write between meals tampered by the even more invigorating choice of in-between snacks (you know me, and you’d better know what Ipoh’s famous for now); rendering Motormouth incapable of penning his thoughts. More to nonsensical rants at times. Or it must have been the hassle of moving between homes and attending to my grandma‘s 49th day prayers. Hung Kee Wantan Mee takes pride in their springy egg noodles tossed in a mix of soy sauce, sesame oil and lard oil; topped with a stalks of ‘choy sum’ and scattered with chopped scallions. OUG, or Oversea Union Garden in full, is an area populated with Chinese eateries and the place of birth for Steven’s Corner; one of the pioneers of the 24 hours Mamak stalls frenzy back in the late 90’s. Aside from this solitary review of Yang Kee beef noodles that I did a couple of years ago, I haven’t been back to the vicinity for subsequent food excursions. 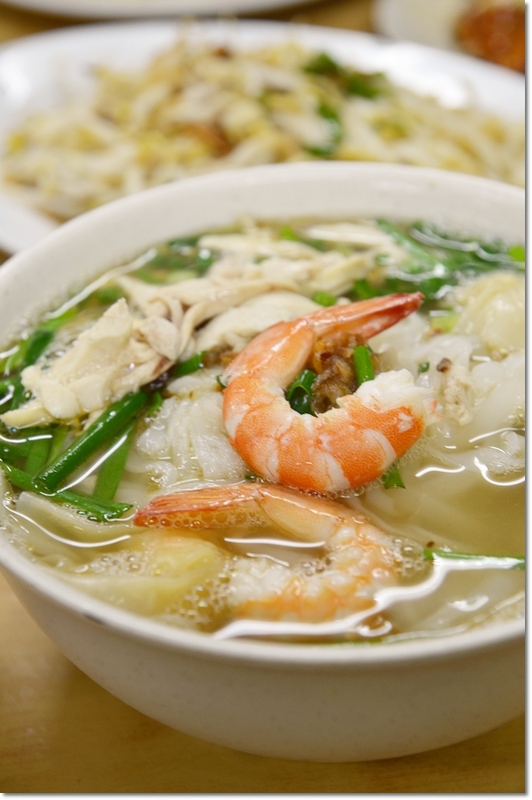 Then, about 10 months ago, the famous Hung Kee Wantan Mee (original location – Jalan Loke Yew) opened up a second branch in the heart of OUG, along the relatively quieter row of shops on Jalan Hujan Rahmat 3, parallel to the morning market. Not AGAIN?! 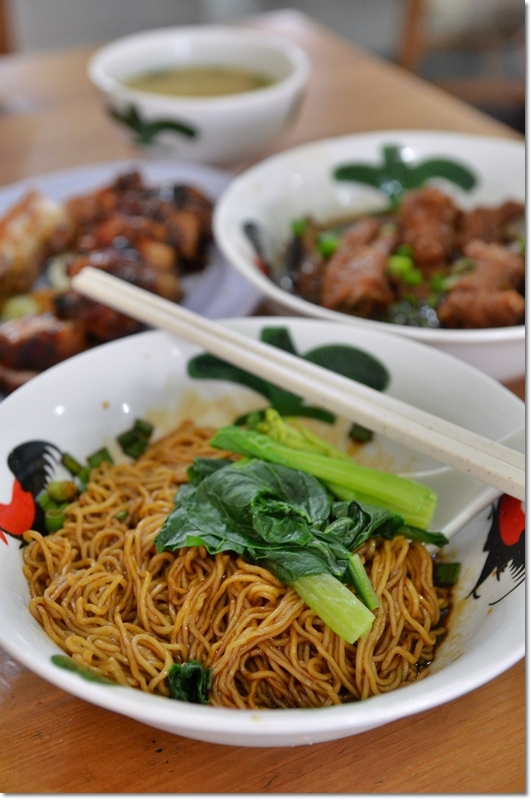 This my friend, is not the first time I am writing about Pun Chun; the name behind the ridiculously iconic drum drumstick noodles originating from the town of Bidor to the south of Perak. However, the old Pun Chun has taken the liberty to expand beyond the silver state; first with an acid test of a Pun Chun Noodle House outlet in Kota Kemuning in 2008, then this second one in Ara Damansara, followed closely by a third in Bandar Puteri Puchong. Same Roast Duck. Different Maestros. Different Place. The famous Canning Garden Crispy Roast Duck from Hong Kong Restaurant has now relocated to Ting Feng Restaurant in Ipoh Garden East. A short update on some changes I have seen in Ipoh last weekend. Inevitably, some eateries bear the brunt of losing out to new competitors, some suffered from the demoralizing effect from mass commercialization, while the others remain defiant. Unwilling to adopt the paradigm shift approach in modernizing their original values/prospects. And these outlets are best regarded as … the timeless classics. Canning Garden roast duck has been around for ages; and high chance of them being the ONLY halal roast duck outlet in all of Ipoh back then. If you’re cursing under your breath, I can understand that. If you’re sick of looking at chickens (real one okay … edible fowls), I buy that too. After the almost relentless onslaught of posts on chicken rice (Loke Yun Ampang and Kee Kee Bentong Chicken Rice), I would have balked at the sight of another. And another. AND another ….. Yet, I can’t help but pursue this medley of torment; if you insist on calling these ‘delicious’ posts that. Kar Heong Restaurant was started back in 2004 in Subang Jaya, then subsequently opened a branch at Kota Damansara in 2008. Kee Kee Bentong Chicken Rice @ Yat Yeh Hing Restaurant – Corn fed chickens from Bentong, Pahang, crispy roasted chicken fresh from the oil bath, the crunchy bean sprouts sourced from IPOH (! ), and fragrant oiled rice perfumed with the aroma of ginger, garlic and shallot. Oh, and that plate of chili sauce + grated ginger was magnificent. Barely a few weeks after the last post on chicken rice from Loke Yun Ampang, here’s another onslaught on all senses. And regardless of whether you’re a fan of chicken rice or not, the omnipresence of this quintessentially Hainanese creation cannot be denied. 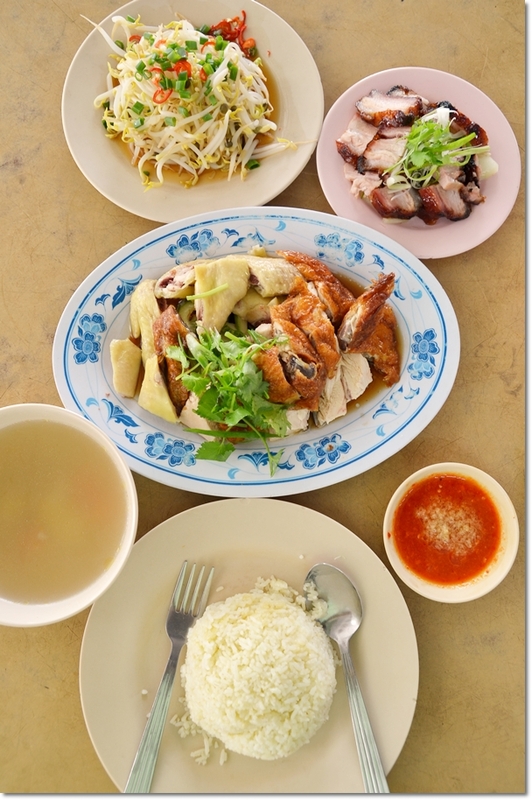 Let’s not argue over the origin of Hainanese chicken rice. Bear in mind that this combination is based loosely on the famous Wenchang chicken dish from Hainan, China. 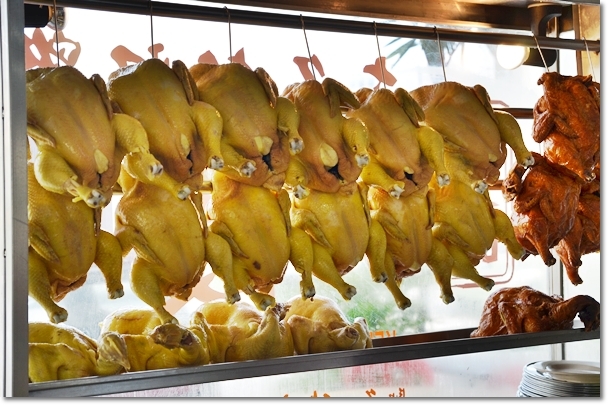 The Chinese uses free-range chickens fed with coconut and peanut bran; resulting in a slightly more prominent yellow hues on the skin. 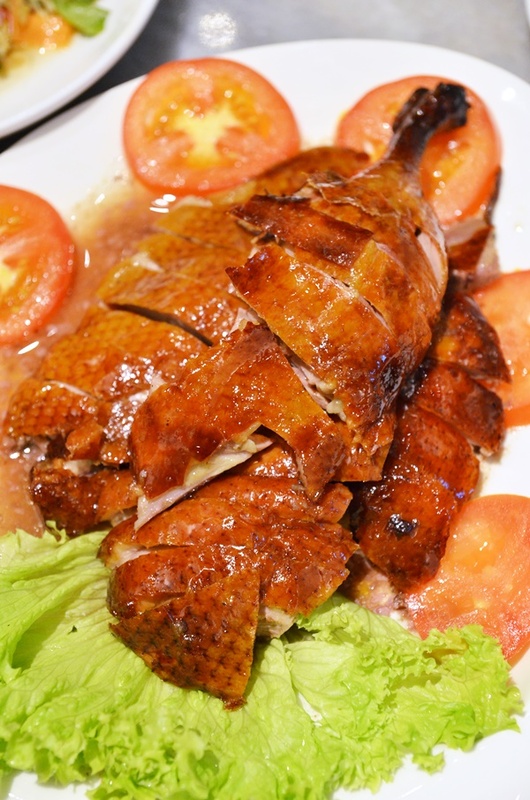 Wenchang chicken is usually served without the oiled rice, and with a condiment of chopped ginger and salt. Unlike the Hainanese chicken rice commonly served in Malaysia and Singapore; whereby we prefer chili sauce with a piquant touch from the mashed/grated ginger. Fat, yellow-skin chicks hanging from the hooks. You can roughly guess which version of their chickens is the more popular choice.